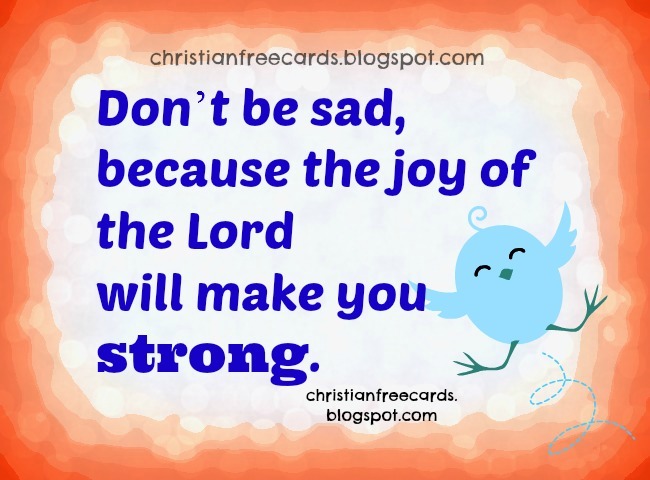 Don`t be sad, The Joy of the Lord will make you strong. You can rest in him and be joyful. Every day has it own worries, be happy and enjoy life.